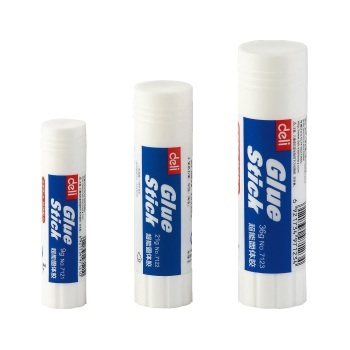 Quality PVP white solid glue sticks at Deli... cious prices! 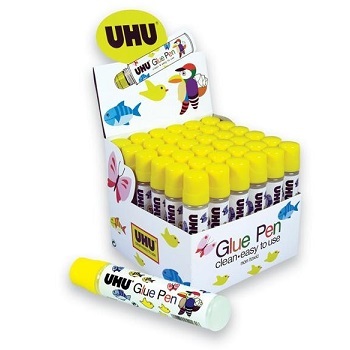 Easy-to-use glue stick is photo-safe, solvent and acid free and non-toxic. Fast drying and long lasting adhesion. Easy, no mess way to glue papers in the home, office or school. Neatly makes paper, cardboard and photos self-sticking, removable, and repositionable. Available in choice of three sizes. 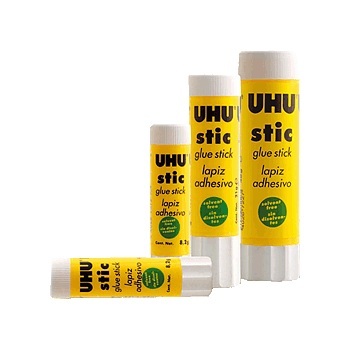 Smooth, white, solid general purpose stationery and craft adhesive glue stick. Convenient and mess free, glides smoothly, goes on clear and dries clear. Non toxic, solvent and acid free, won't yellow with age. Adheres well to a wide range of papers, card, labels, fabric, cork, styrofoam and photographs. A liquid paper and card glue that is clean, safe and easy to use. Features a strong nylon applicator which prevents spillages. Price each - Order 36 to receive one carton.